A landmark event in the field of security will be held on October 24-25 in Poland – the annual Warsaw Security Forum. This year the forum will be held for the fifth time (since 2014). The forum is organized by the Casimir Pulaski Foundation. It is also worth noting that the Bureau of National Security of Poland together with the institutions of NATO, the EU and the OSCE take an active part in the preparation and holding of the event. The organizational events also involved embassies and large companies of the military-industrial complex of the participating countries. The event traditionally addresses such issues as global changes in NATO, the EU and the Eastern Partnership programs, as well as in the field of defense and security. Representatives of the participating countries will have the opportunity to discuss existing problems in bilateral relations, as well as problematic issues in the field of cyber-, energy- and economic security. The range of issues of greatest interest also traditionally covers a discussion of Russia’s aggressive policy and terrorism. There is an assumption that in the current year a lot of interest will be caused by the problems of increasingly used information (propaganda) campaigns in the media, so-called trolls and fake news. Poland, being the host and organizer of the event, has certain preferences for introducing topics to be discussed. In this regard, it is possible that representatives of Warsaw will again raise the issues of expanding the eastern borders of NATO and locating a permanent alliance military base in the country, which received the playful name of Fort Trump in the media. 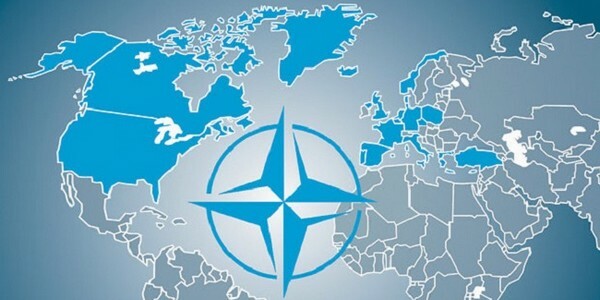 The sociological surveys conducted in the country showed that the population considers the constant presence of additional NATO forces important for ensuring national security. There is also a high probability of raising questions about the role of Warsaw in the system of EU relations with the countries of Eastern Europe. During the foundation of the Eastern Partnership program, Poland acted as a guide for the EU in establishing integration ties with the six countries of the former USSR: Azerbaijan, Armenia, Belarus, Georgia, Moldova and Ukraine. And now, given the complex relations between Warsaw and Brussels, the implementation of such mediation can be a difficult task. One of the most discussed, most likely, will be the question of Russia’s aggressive policy. And here the possibility of a confrontation will be raised, most likely not so much in the military sphere, but more so in the field of information confrontation. Recently, hostile actions by the parties in the framework of the so-called informational confrontation have become very relevant. On the protective measures of the EU and NATO can be judged by the instructions of US President Donald Trump on strengthening the cyber troops of the country. In addition, cyber troops are created in the UK. The EU does not remain aside. Representatives of Poland, Lithuania, Estonia, Croatia, the Netherlands, Romania, France, Spain, and Finland announced the creation of a single European security structure in the virtual space in the summer. It turns out that Poland is “at the forefront” of the main problems of the EU in the field of security and is interested in active involvement in solving most situations. And this promises to make the upcoming forum even more constructive and rich.